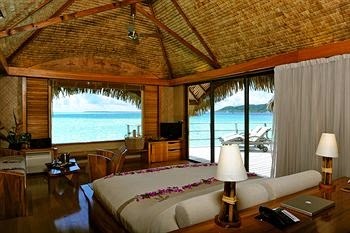 Rated as one of "The World's Best Places to Stay", Le Taha'a Island Resort & Spa is a Tahitian hotspot; book your stay across WhataHotel! for Exclusive Complimentary Perks for an outstanding deal. This luxury resort opened its doors in July of 2002 and has since tempted tourists with its luxury. Discover immaculate beauty, timeless style and local authenticity at the ultra-exclusive Relais et Chateaux's Le Taha'a Island Resort & Spa. 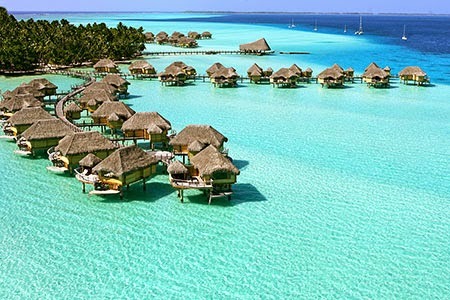 Located on the somewhat isolated Motu Tautau, with a perfect view of Bora Bora, this stunning resort boasts Polynesian inspired architecture that is sure to please. Guests will savor 60 total suites and villas, 2 of them royal beach villas, 10 beach villas and 45 magnificent overwater suites. While the spectacular island life is something to savor, the resort also presents guests with a fantastic fitness center, well lit tennis courts and exciting watersports. 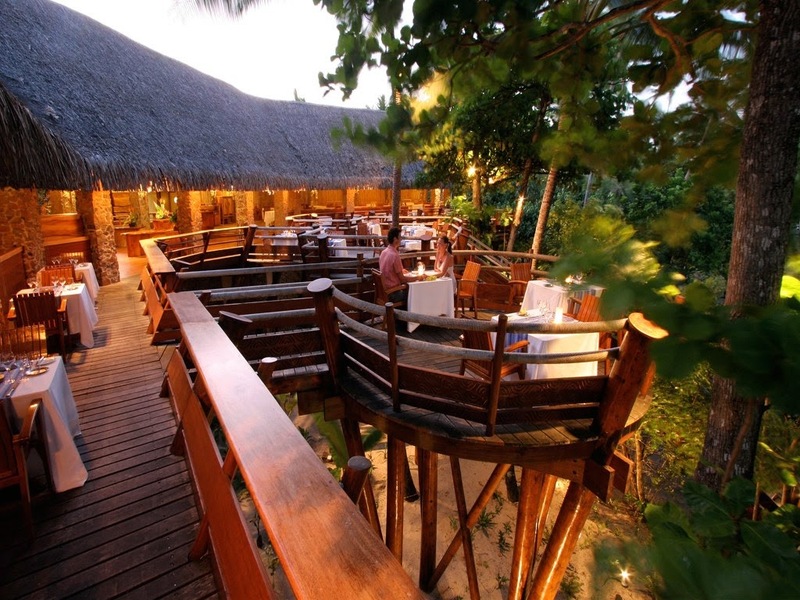 There are also 3 restaurants and 2 bars, an open air swimming pool, a gift shop and Tahitian pearl jewelry shop, and a tempting and rejuvenating spa. The helpful staff can assist guests with other thrilling excursions and adventures including snorkeling, scuba diving and helicopter rides. Travelers that are searching for an alluring island oasis with loads of glamour can plan a trip to Le Taha'a Island Resort & Spa for a truly extraordinary getaway. When planning your vacation to Le Taha'a Island Resort & Spa across WhataHotel!, guests will receive Exclusive Complimentary Perks for an unbeatable deal. These perks include available upgrades and check-in, an American breakfast for two daily, a chef's sweet treat of the day, 75 Euros Spa voucher and options for an early check-in and late check-out. 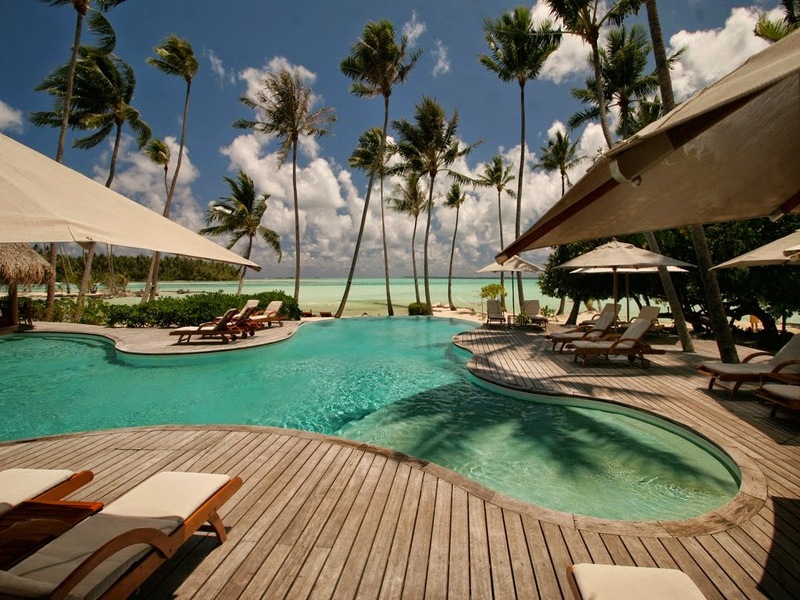 Discover charm, courtesy, character, cuisine and calm at this glorious Tahitian resort. It is a heavenly retreat that promises pleasure for every sense.